In today's integrated marketing communications, print is sometimes overlooked. However, not everything can be communicated online, so while the internet can help to promote your business, print still has an important role in closing sales. Many businesses have moved all of their advertising online because of its cost effectiveness, convenience and potential for exposure. But print is still a powerful and necessary component of your campaign. Why? Branding - Printed marketing materials and adverts are a fantastic way of solidifying your brand identity. Your branding can be carried through in terms of design, colours and fonts. Tangibility - You can actually touch a printed piece. Your brochure or printed advert can be kept for years, while old online ads disappear into cyber space. Credibility - Print gives a sense of legitimacy. It shows that you're not a cheap, 'here today, gone tomorrow' organisation. Targeted marketing - Brochures can be handed out to qualified prospects at events and retail outlets. And placing adverts in speciality magazines, for example, can reach niche audiences that may be more difficult to target online. Engaging - Consumers are often more 'switched on' when reading printed material, and read more slowly. Websites are more likely to be skim-read. The best way to market your business is to use as many channels as possible to reach your customers, and this should include print. Contact us at Public to find out how print can contribute to your overall marketing effectiveness. 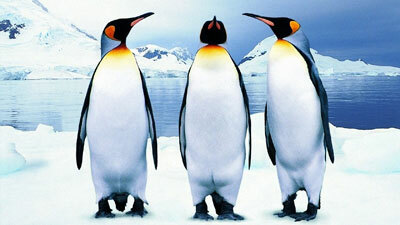 Last month more Google Penguin updates were announced by Matt Cutts, head of the webspam team at Google. He's basically in charge of setting new rules for SEO. His job is to ensure that Google results pages are full of valid, relevant search results rather than poor quality spam. It's a code name for an algorithm update. Google use algorithms to downgrade websites that use undesirable (or 'black hat') SEO techniques. creation of duplicate content - adding two or more pieces of content which are identical, the only difference being the URL. Now's the time to act if your webmaster uses any of these techniques. The Penguin update will penalise you by downgrading your site in search results pages, allowing your competitors to jump ahead and gain an advantage. At Public our SEO work is natural, organic and tailored around long-term results. We avoid the 'black hat' tactics that might jeopardise your rankings. Contact us to find out how we can help. Investors have been buying up stock in companies like 3D Systems and Stratasys, sending the share price of Stratasys in particular soaring 479% over the past year. So are these the next Microsoft, Google and Facebook, or is this a short-term investment frenzy? Just as with the advent of the PC and internet eras, it’s difficult to tell who the ultimate winners will be, or if this technology is transformative enough to displace current methods of working. Traditional manufacturing has been perfectly designed over a long period to make a lot of things for mass-market cheaply. It might take a while for the likes of Ikea to roll over and die, for example. 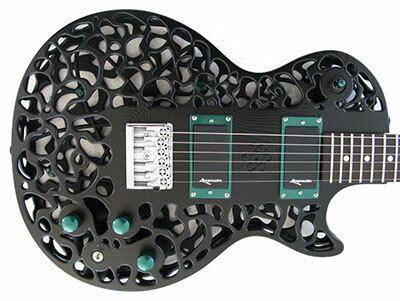 It's predicted that more and more 3D printed items will enter our lives, but they are likely to be made by professionals who have the tools and the know-how, not by your average person. Think about it this way: you could design and make your own furniture, but you probably don’t. Following on from its launch of 'Verified pages' two weeks ago, today Facebook has announced that users will be able to use Twitter-style hashtags on its site. Greg Lindley, product manager at Facebook, said: "The recent 'Red Wedding' episode of 'Game of Thrones', received over 1.5 million mentions on Facebook, representing a significant portion of the 5.2 million people who watched the show. "To bring these conversations to the forefront, we will be rolling out a series of features that surface some of the interesting discussions people are having about public events, people, and topics. 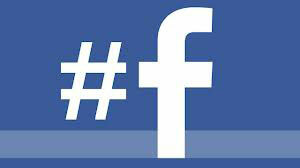 As a first step, we are beginning to roll out hashtags on Facebook." Clicking a hashtag will bring up a chronologically ordered list of comments using the same term, including posts from people and pages users are not friends with and have not 'liked'. However users can still limit who can view their hashtagged posts. Hashtags are popular with advertisers, providing a way to extend the value and reach of advertising. Facebook does not currently allow advertisers to target people posting a specific hashtag or to sponsor a hashtag - as is the case with Twitter. But this could change if Facebook wants to target growing 'real-time marketing' budgets - money spent on adverts whose timing is determined by live trackable consumer behaviour, driven for example by huge live events. At the moment Facebook is not monetising this, but watch this space to see if that will be their next step.